Perched high above an outcropping of boulders, El Mirador (The Lookout) is named for its view of the rainforest peaks. 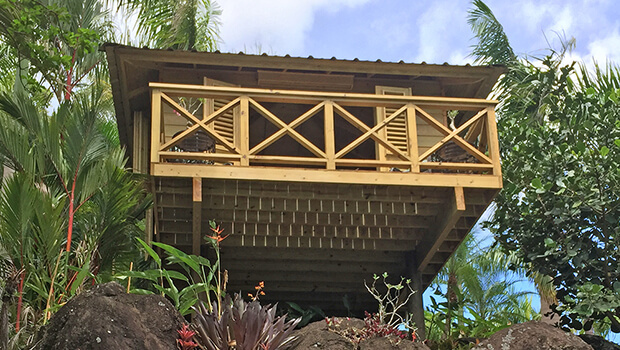 The treehouse features 144 square feet of interior space and an 84-square-foot balcony with a commanding view of El Yunque rainforest. The private bath is on the main level and is reached by a footbridge from the balcony. It offers a slate interior, high-end fixtures and a rain shower with an equally commanding view of the rainforest.